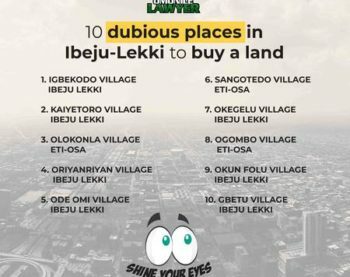 Welcome to our Omonile Lawyer Land Verification Journal where we take you through all the Ups and Downs involved in carrying out a Detailed Land Search till we come to a final result for the Client and this week we are beaming our search light on HAPPY LAND ESTATE OKO-ADO VILLAGE. 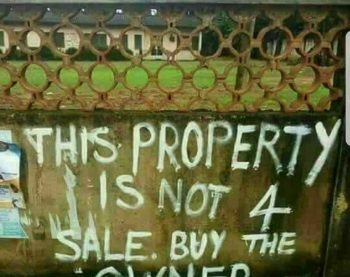 We Hope it persuades you to appreciate the pains and lengths we go in confirming the validity of a property and why it should give you the confidence to contract us to carry out a proper search before you throw away your hard earned money. 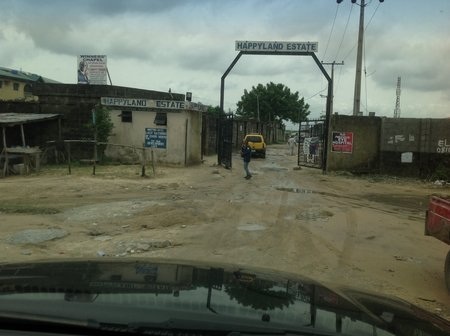 A client turned Omonile Lawyer Friend from the United Kingdom engaged Omonile Lawyer to carry out a search at HAPPY LAND ESTATE OKO-ADO VILLAGE OKO-ADO VILLAGE Eti-Osa Local Government Lagos State and immediately we got all the necessary details needed to follow up on the search. 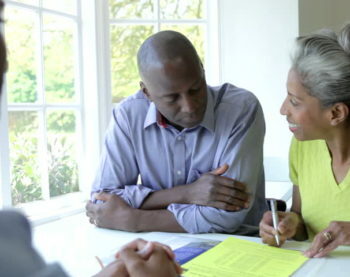 As a Rule of Thumb, Omonile Lawyer does not carry out any search on a Land that the Buyer or his/her representative has not visited and since the Client had satisfied that part, we were ready to carry on our jobs with complete discretion and anonymity with an independent, objective and wholly impartial advice. 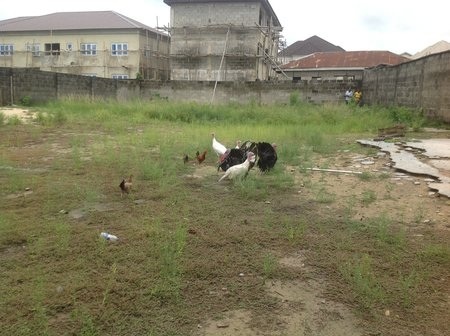 Now the Client has been on the Lookout for so many lands in the Ajah Environs to purchase for Investment purposes but most of them had one Issue or the other and he almost gave up looking for a land. Due to his extensive contacts with some Agents he was able to get a plot he was finally interested in. 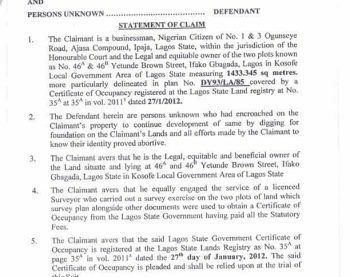 He wanted to buy a land in a very developed area with all the amenities but his budget was between N7Million to N10Million and he contracted OMONILE LAWYER to carry out our jobs with complete discretion and anonymity with an independent, objective and wholly impartial advice on that land. We got in touch with the person via phone call who owned the Land and asked him what documents he had before we come over to do a physical search. 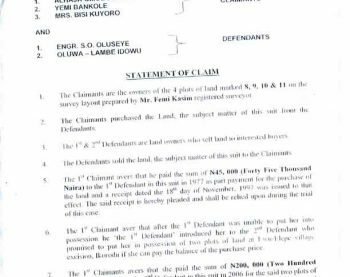 He claimed to be an elder in that estate for many years and he bought some lands in that area when it was very cheap and he built one for himself while he intends to sell the plot in question. 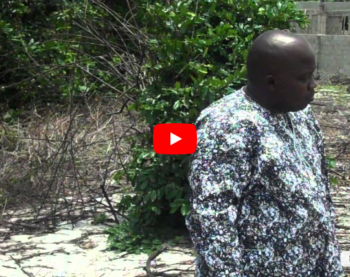 He further explained that the Land has a deed of assignment which he obtained from the original sellers of the land plus a receipt and he did a Survey plan to back it up. 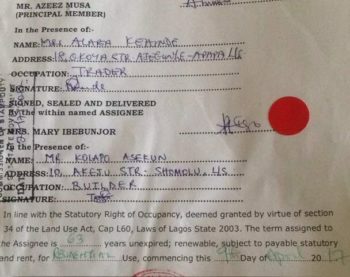 He further explained that the Land in Question has been gazetted and the land he intends to sell fall inside the gazette and my client was purchasing a very clean land with no issues or encumbrances at all on it hence the N13Million evaluation he has put on the land but was willing to sell to the Client for N10Million. We now decided to book a day when we would come and see the land and inspect the papers. 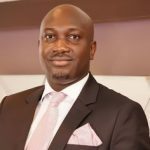 He promised to get all the relevant documents and personalities involved for us to scrutinize them thoroughly when we come. 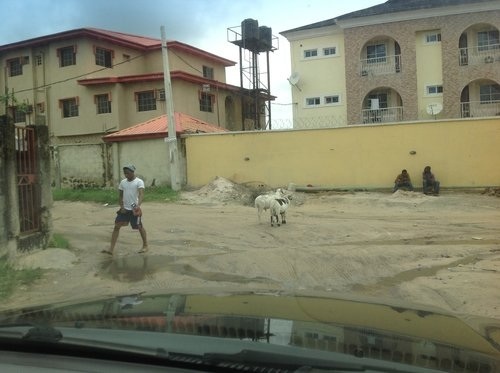 We finally got to the Estate and I quickly realized that it’s a well developed estate with loads of fancy houses worth Millions of Naira and had a lot of amenities befitting the estate. When we met the seller, he quickly showed us the land for sale and showed us a gazette and stated that the land falls inside the Gazette. I asked him how he knew that the land falls inside the Gazette and he rambled for like 10Minutes how he called a surveyor to measure the land personally and he was one of the founding fathers who fought for the Gazette of Happyland estate and his land was sitting in the middle of the gazette. 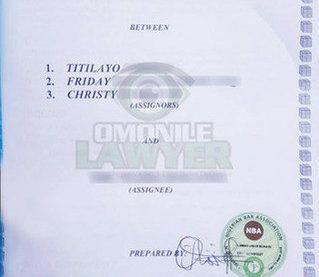 The land Omonile lawyer was contracted to do a search. 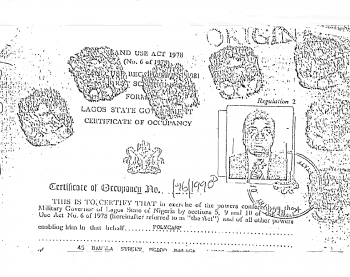 See other people at the back building Mansions not knowing their lands are bad lands that has no valid documents! 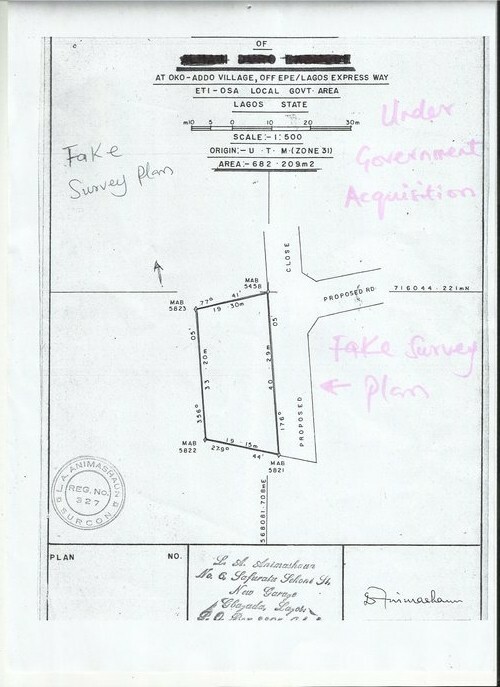 We asked him to show us further proof and he brought out a Survey Plan showing the property in question. 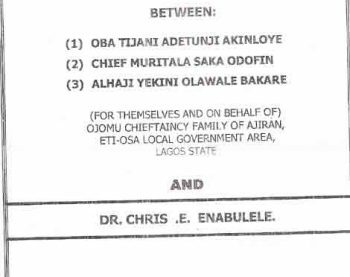 I quickly inspected the survey plan and I noticed the Surveyor who signed it was a Surveyor that is notorious for a lot of Survey Plan discrepancies in the Ajah Environs and I held my breath in abatement. 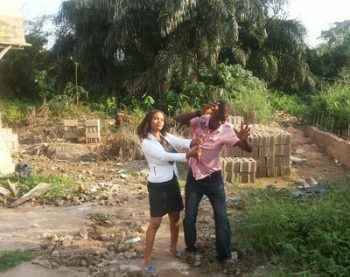 I quizzed him if he had seen the Surveyor since the time the Survey Plan was done and he said No. I asked him if he was present when the Surveyor did the Survey plan for him back then, he said No. 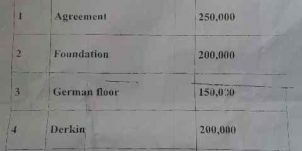 I further inquired from him if he had seen the Surveyor Face to Face before and he said No but he remembered that he paid Money to a Surveyor who told him that the Land was Free from Government Acquisition and was inside the Gazette. 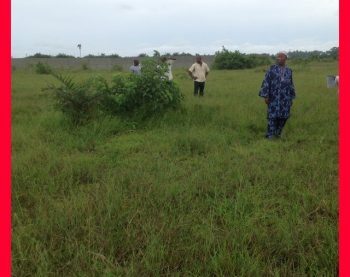 We later asked him to show us the land and upon measurement, we found out the size on the Survey plan was 682 square meters while the real measurement of the Land was 503square meters. 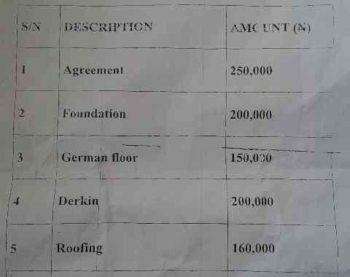 We raised this issue with the seller and he said our Surveyor was wrong and it was what his own Surveyor drew on Paper that was the real measurement. At this juncture we were sure something was off but we couldn’t pin point it just yet and told him we would be back the next day to meet the people who sold him the land since they weren’t around as promised but before we left, I told the surveyor to take the coordinates of the land physically and go to the Surveyor General’s Office at Alausa to confirm its authenticity. We came back the third day to meet the So-called Sellers and we met some old men and women claiming to be the family members that originally sold it to the Present Sellers. 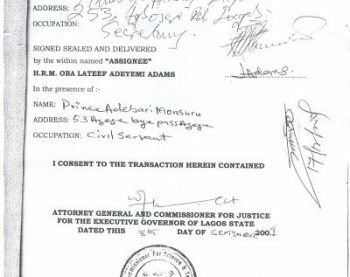 I asked them for the deed of assignment they gave to the Seller and they showed me one copy with 4 signatories. I studied the Deed of Assignment very well and asked all the family members to resign their names. After much argument and quarreling protesting why they should sign it, they finally caved in to my plea and alas! All the 4 signatures where different from the one on the deed of assignment! 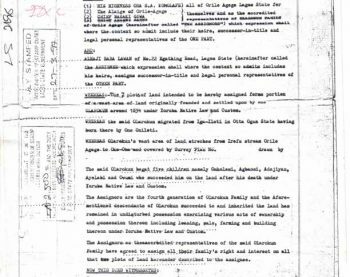 With that in mind, I wrapped up my Search and waited for the all important Coordinates search report at the Surveyor General’s office and when it arrived I was shocked beyond belief. The Seller’s land was 10 meters away from the Gazette. The land did not fall inside the Gazette rather it is a land UNDER GOVERNMENT ACQUISITION. 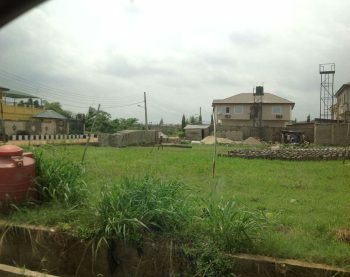 The man knew all along that his land was a bad land and was ready to sell it to an unsuspecting buyer to carry all the Wahala when Government people come to disturb them either to pay ratification or for the house to be demolished. 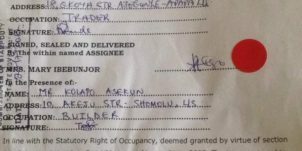 The moment we told him about the search result, he didn’t even query or question us but jejely asked us to return his documents to show other buyers. 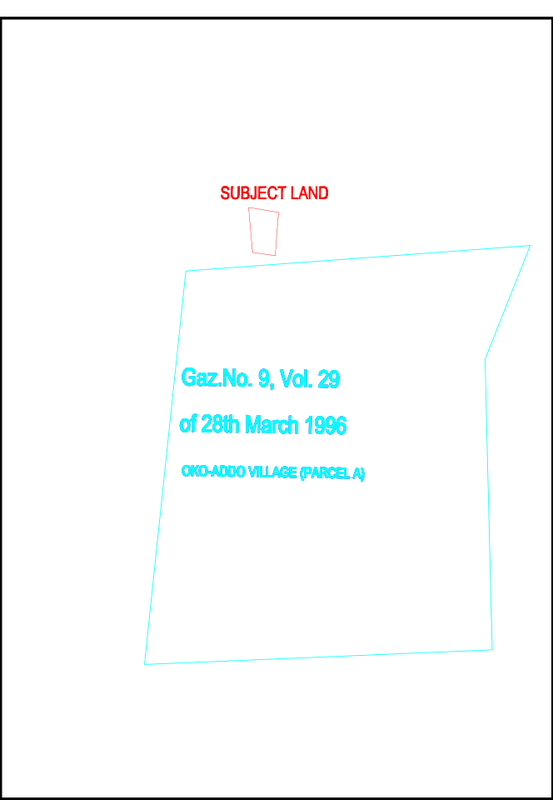 This is the search report that shows the description of the land and the Gazette. The Subject land is the Land that the Seller intended to sell and you can see the distance between the subject land and the portion of land that the gazette covers that is good. Any land outside this gazette is a very bad land in that Estate. 1. It’s a no go area. It’s as simple as that. 2. If he intends to go with it, he should be ready for ratification fees from the government and that could be quite expensive and we don’t know when it would be done. 3. 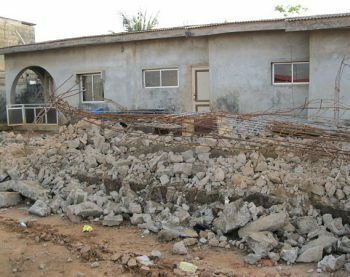 It is possible that ratification could be rejected and the government is interested in Demolition. The fact that it isn’t in the Gazette poses a lot of problems for any Future Buyer. 4. 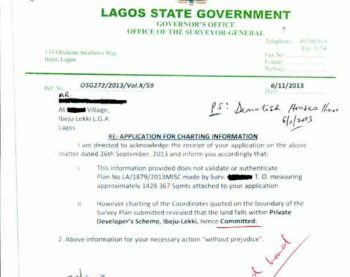 The dodgy surveyor knew that the land was outside the Government Gazette but did everything possible to falsify the survey plan to show that it was inside the Gazette. 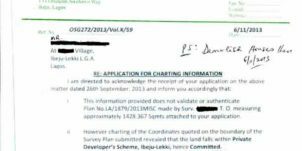 This shady way of falsifying a Survey plan is known as a “FLY-OVER”. 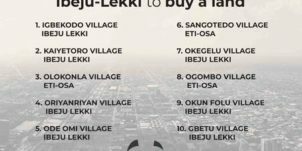 On no occassion should you see this Search Report and use it as a basis to go and buy a land at HAPPY LAND ESTATE OKO-ADO VILLAGE OKO-ADO VILLAGE Eti-Osa Local Government Lagos without doing your own Independent Search. Each section of the Estate has its own peculiarities and own members of the family that has the capacity to effect a sale. 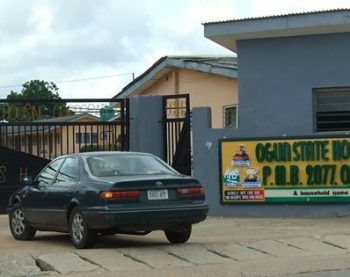 We did not do a search covering the who HAPPY LAND ESTATE OKO-ADO VILLAGE OKO-ADO VILLAGE Eti-Osa Local Government Lagos. It was only the section that was of paramount importance to the client that we investigated thoroughly. 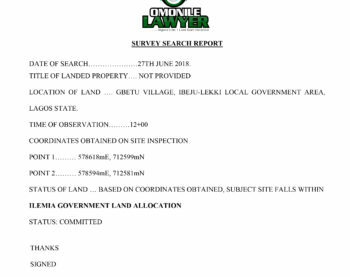 This search report is meant for educational and informative purposes only to describe what Omonile Lawyer Verification service does and how thorough we are in getting to the bottom of a land issue. 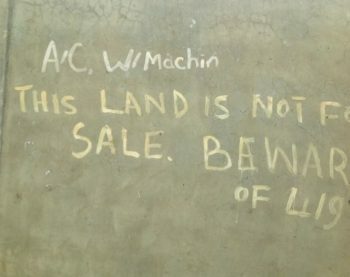 Finally don’t do self service when you want to buy any land. 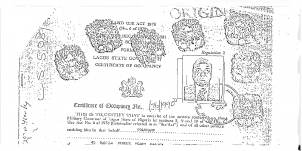 Contact Omonile lawyer land verification services to carry out a proper land verification search. 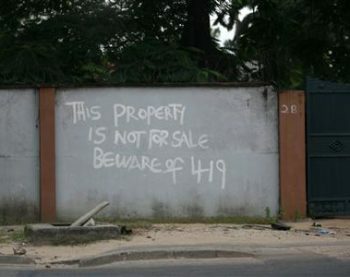 We have been doing this for 7 years and know virtually all the tricks land scammers have devised to steal your money. 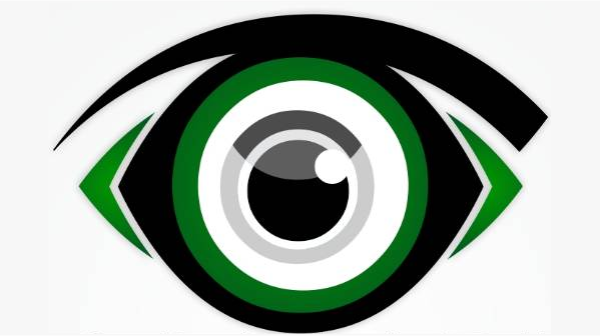 If your time is precious and value a completely independent, objective and wholly impartial advice, whilst also providing you with complete discretion and anonymity get in touch with us to save your money from the hands of land fraudsters.